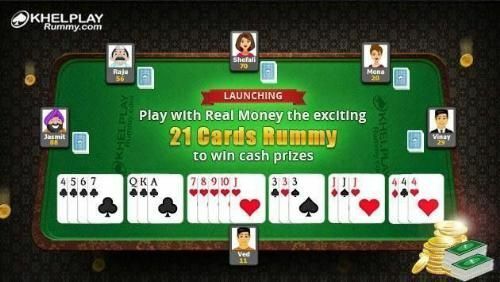 Rummy has been amongst the most popular card games in India that can be played with a group of friends or family members on various occasion or even on daily basis .Moreover, when we talk about playing Rummy online, Khelplay Rummy has made its name in the past few years as an undisputed leader in Online rummy for all the Indian users. The website is owned and managed by Sachar Gaming Pvt Ltd and aimed towards bringing one of the best online rummy experience for all the users in the process. Once you start playing any online game, the first thing you come across with is its user interface on the web along with its graphics and software used. Once you get enrolled on Khelplay Rummy, you will get to see the big card size on the rummy website which helps in getting a better understanding of the cards. Moreover, the table provided is 2d and no 3d version is available as of yet so that comes as a limitation of the website in comparison to other rummy websites around. 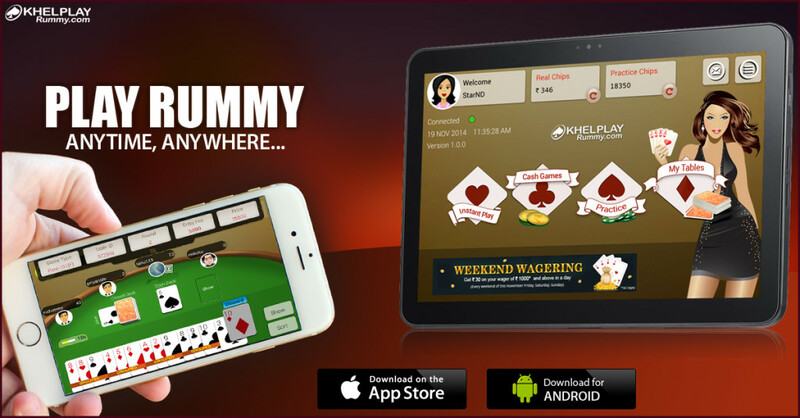 Along with its web version, you can also download the app version of Khelplay Rummy on all IOS and android devices and start playing rummy along with other users on the platform. The app is said to be having an easy to use navigation, advanced safety features to secure the user’s money along with better options to make easy withdrawal and deposits for the users. The Khelplay Rummy app is available for free for all the users and the existing users can login with the same ID and information on the app version which they used on the web version and starts playing instantly. As far as the games and contests are concerned, Khel play rummy offers 13 cards game rummy and 21 cards game rummy variant to all of its users. If we talk about the 13 cards rummy variant, it’s the most popular and largely played version of the Indian rummy amongst most of the Indian rummy players around. On Khelplay Rummy, user can play 13 cards rummy between 2-6 players 2 decks of card alongside. In this game, 13 cards are been dealt to every player and 12 of them are then formed into various sets and sequences. The game includes 8 wild card jokers along with 2 printed jokers. 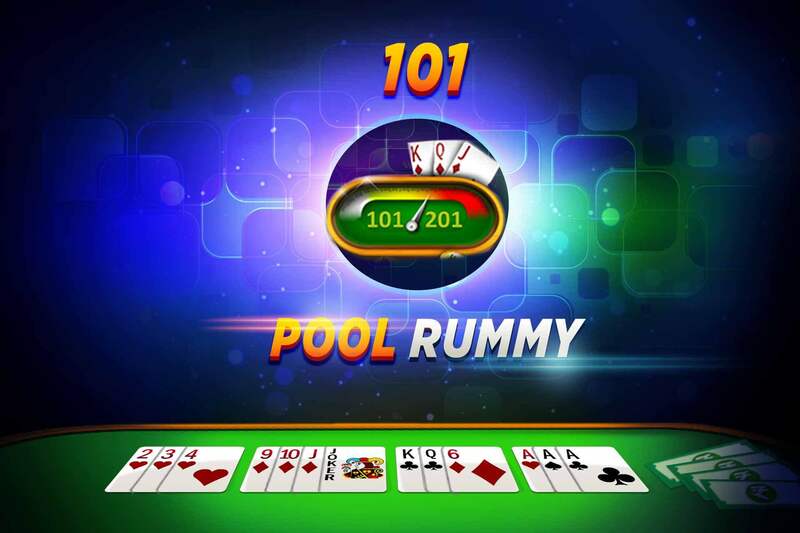 One of the biggest reason of this variant of rummy in India is it’s easy to play option and its playable in other variants like Pool, Deals and Points. When we talk about Pool rummy, its mostly consists of two forms, 101 and 201.In 101 pool rummy game, the first player to reach 101 points lose and in the same manner, in 201 pool rummy game, the first player to touch the 201 points mark comes as a loser .This is why players in the game needs to regularly meld their cards into different sets and sequences so as to avoid defeat in both the games whilst making lesser points. Another most interesting aspect of the 101 and 201 pool rummy game is that in both the games, the loser can rebury the game and same can be done when the highest score in the 101 pool game is 79 points and that in the 201 pool game is 174 points. Deals Rummy is the most commonly played rummy game which comprises of a certain fixed number of deals within a game. It all depends on the number of deals involved in the rummy game and the game can be played in Best of 6, Best of 3 and best of 2 variants. In all of these variants, the player with the minimum points after the completion of 6 rounds in best of 6, 3 rounds in best of 3 and 2 rounds in best of 2 is then going to be declared as a winner. Even when the points are on tie for two or more players, the game then go into a tie breaker and the winner in the same takes all the money home. 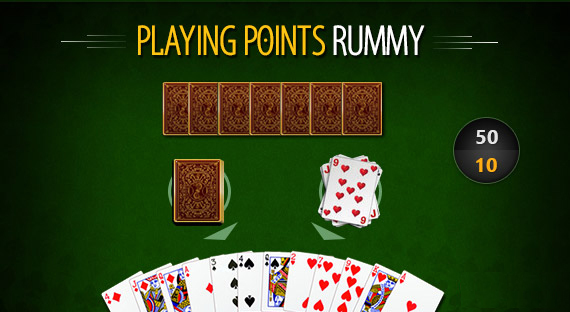 Points rummy generally involves one deal per game to its users and the value of points is also predefined. During the game , the players gets the choice of deciding between various points games coming in the range between 0.05 and 125.In all the points games on the Khelplay Rummy website, the winner takes home an amount equal to the total score of all the losing players which then gets multiplied by the points value subtracting the rake value. 21 cards rummy can said to be another most popular rummy variant which is played across all the sections of the Indian society and been cherished on various occasion in the country. The game gets played in point’s format with 3 decks of cards and requires 3 pure sequences formation with a minimum for a valid show. Moreover, the game involved the inclusion of an extra bunch of wildcard jokers along with the Doublees and Tunellas. Although the game gets quite lengthy and time consuming in this format, its mostly popular amongst people who would love to play rummy for longer times and with more cash on the table. All the rummy tournaments at Khelplay Rummy are played in 13 cards format and would be played on level based or rounds based format. Users can enroll for free and can participate in various cash contest at the deposit of a nominal amount in the process. Its quite easy to sign up at Khelplay Rummy and the users can directly sign up with their face book account or email address on the Khelplay Rummy website itself. Once you would select the “sign up for free” tab on the top right side of the webpage, you would then be required to put in your email address and its password along with the phone number. Once you would put install the details, you will then receive an OTP in your phone which needs to be put in on the form and you are ready to play now. 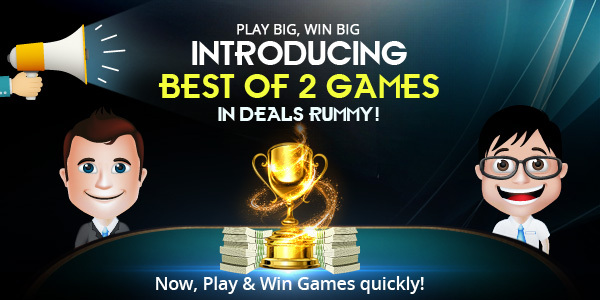 This is the promotional offer for all the existing users of Khelplayrummy.com and the scheme is valid till the month of January 2019. You will be getting one ticket after ever wagering of Rs 25000 and once you will wage for multiple times in the process, you will then be getting multiple tickets and that would increase your chance to win a all paid trip to Thailand in the process. There will be a grand draw happening at the end of the month where the ultimate winner would be announced. Khelplay Rummy weekend showdown tournament gives an opportunity to all the existing users and it went live on 12 Jan 2019 at 9pm with total 2500 players with free entry. To get enrolled into the same , the player were just required to play maximum times across all the cash contest and games on Khelplay Rummy and the total prize money on offer was rs 50000. This is a tournament meant for all the regular players of Khelplay Rummy and the total prize money on offer is around 1 lakh. All you have to do is become a wager for less than 1 lakh in December 2018 and you will then be getting a ticket to qualify for the tournament right away. All the cash prize will be transferred into the account of the user and will be non withdrawable. Moreover, the top 3 winners would be required to send photo testimonials and the Khelplayrummy .com management would then be publishing their photos on the website being a winner. 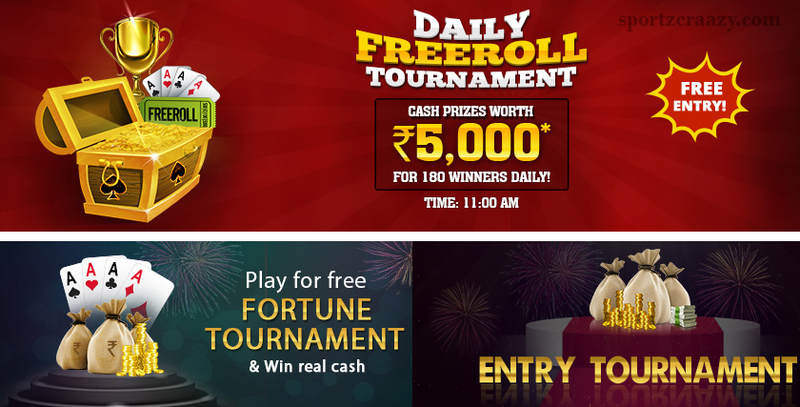 Khelplay Rummy has introduced this contest to let its users win gold coins and real cash this maker sankranti. The tournament goes live on 13 January 9 pm with a total players of 500.TThe players would be getting the entry ticket from their positions on the leader board along with a buy in for rs 100. The offer is valid for all the depositors and the winning prize of 10 gm gold coin is withdraw able for all of them. It will be a 3 level time based tournament and the users would then be credited by the winning amount or consideration by the end of the tournament. This would probably be the best weekly tournament for all the rummy players on Khelplay Rummy and provides an opportunity of winning prize like Smart phones, Fossil watches and JBL speakers. Along with the goodies, the tournament also offers a big cash prize for all the users alongside. The tournament goes live every Tuesday at 9 pm with in total 425 players. The Buy in required is of Rs 100 and will be allowed to all the depositors in the game. It will be 3 level time based tournament and the prizes would be distributed as per the final position of the players in the tournament. 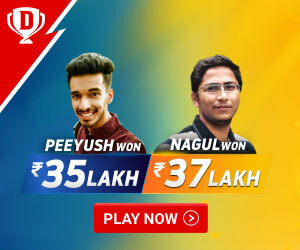 The Khelplay Rummy website has come up with a perfect offer for all of its new users and all of them can get benefitted by this while making a first deposit of minimum 10 rs whilst getting eligible for 150 % bonus up to rs 1500.It also gives you option of making a minimum deposit of rs 25 whilst getting maximum bonus of 100% up to Rs 1000. Moreover, the bonus amount will be valid for the next 30 days after its gets credited in the user’s account. Also, the bonus would be disbursed in 50 part and that will be on prorate basis depending on the amount of deposit by the user. This comes as a perfect offer for the Rummy players whose friend and family members are also interested in playing Rummy online and the user can earn a good referral bonus by inviting them to play rummy online on Khelplay Rummy. This would allow you to get a referral bonus of upto 150% on your friend’s first deposit and the maximum you can earn is Rs 1500 per referral. Moreover, the total bonus earned would be equivalent to 150% of the deposit made by the user’s invitee. 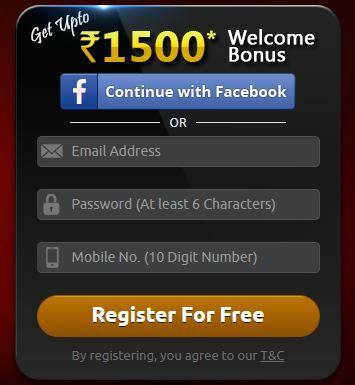 Also, the bonus would be dispersed in 50 parts and the user will be eligible for only bonus from one account. If in any case, multiple accounts by the user get tracked, the same gets suspended by the Khelplay Rummy team. Rummy tournament comes as great opportunity for all the players who would wish to win big whilst investing nominal amount onboard. Moreover, they can win prizes amounting to worth 7,91,350 rs in total every month. One of the famous tournaments at Khelplayrummy.com is as under. This comes as the best option for all the cash players on the Khelplay Rummy website and whilst they all need to just make a deposit, they can then enroll for free for this tournament in the process. The tournament would go live everyday at 11 AM and the Total prize money on offer would be RS 5000 which would then be distributed amongst all the 180 users. The tournament is open for all the cash depositors and the maximum limit is of 1900 players within the same. Thus, it’s available on early bird basis for all the player on Khelplay Rummy .It will also going to be a 3 level time based tournament and the prize would be as per the final position of the user on the leader board. Cash prizes would be directly credited in the account of the user after the end of the tournament and it will be non withdraw able. However, the same amount can then be sued to lay further cash tournaments and the prizes won would then be withdraw able by the user. This tournament would be open for all the daily users at the Khelplayrummy.com and they can participate till the next 21 days after their successful registration for the Khelplay Rummy. Fortune tournament would be a 3 level time based tournament and all the players can enroll themselves for free in the same. The tournament would go live daily at 4pm and 9 pm and only 400 players per tournament would be allowed to play. Hence its always suggested to register fast so as the seats doesn’t get closed for the user .Moreover, the cash prizes won by the user would be directly credited to their account and the same amount would be non withdraw able. This is probably the best tournament for all the entry level players and all of them get an opportunity to play for free in this tournament whilst getting a glimpse of playing a cash tournament at large. The Tournament gets live on a daily basis at 1:30 PM and 6:30 PM and would be having total prize money of Rs 200 going on it. Moreover, a maximum of 216 players would be allowed to participate and the entry is available only on first come first serve basis. The entry gets closed five minutes before the scheduled time or after all the seats gets reserved. It is also going to be 3 level time based tournament and the prizes would be distributed basis on the final position of the player. Cash prizes would be credited to the account of the users which would be non withdraw able. The Khelplay Rummy website comes with a fair play policy for all the users in order to maintain the fair play spirit of the rummy game intact. Moreover, it comes with the following elements. Whilst all the players playing the game are given with a chat option to get in touch with the Khelplay Rummy support team and the fellow players, they are required to take care of certain rules and regulation in the process. Although the usage of any type of foul language is strictly prohibited, the user cannot ask for any undue favors at the time of the play. Any discovery of the same would lead to the account suspension of the players and he will be blocked with the immediate effect. No user can sell or buy the chips from each other’s and whilst they will not be getting any option to doe so, its is strictly prohibited whilst they do it during ht game itself. It might further lead to the suspension of account along with the forfeiture of any amount that’s there in winnings and bonus. Users are advised to not advertise or promote any of their personal stuff on the chat options to any of the fellow players and the customer support team. They are also prohibited to showcase their list of products and services whilst being a company and this might also lead to their account suspension by the support team. All the users at Khelplay Rummy are strictly prohibited to use any kind of bad language or abusive words to the fellow users and the customer support team out of anger or anything. This will lead to their account deactivation and no further registration allowed in the future as well. All the users at the Khelplay Rummy are advised of getting a good user name and password and usage of any type of obscene word or abusive language is strictly prohibited with the same. Discovery of anything like that can attract zero tolerance by the Khelplay Rummy team. 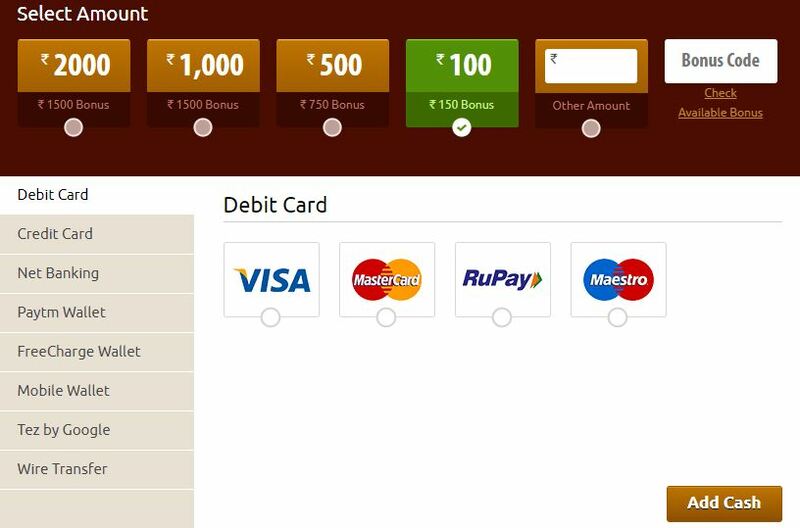 The facilitates usage of various methods of payments whilst making a deposit to your account and same can be through debit card, credit card, netbanking or any of the E wallets like Paytm, Phonepe and Mobikwik. Moreover you can also make deposits via cheque transfer and wire transfer and gets the withdrawals done using the same methods. The customer support available at Khelplay Rummy is quite fine and the users can get the answers to all of their questions and complaints via chat options available at the website. Moreover, their customer support lines are open from Monday to Saturday between 9am till 11pm and same is open from 11am till 8pm on Sundays. The customer support team can be reached via email as well and they always come along with a prompt response for all your questions and queries. One of the best part of Khelplay Rummy website is its “Instant play” feature which facilitates even an entry level player with an option of checking around all the available tables on the website and he or she can play right away after successful registration without any issues. This perfectly makes it easy for any beginner to understand the rules and styles of play on the Rummy website and he can start along with utmost ease. Although there isn’t much to be pointed out on the Khelplay Rummy, one of the major drawbacks comes as the limited customizations of the tables during the game. This ultimately makes the table look less interesting and the user also gets bored after playing the game in the same manner for long. Also, the dragging option of the cards is not there and the user cannot form a group by straightaway dragging the cards which comes as a big pain for the beginners. The Khelplay Rummy website comes loaded with lots of features for even the entry level rummy players and whilst there is various scope of improvements in its overall web layout and tables customization, the website is quite amazing for all the rummy lovers around the country.